Happy Monday everyone! We hope you had a fabulous weekend filled with sunny summer fun! 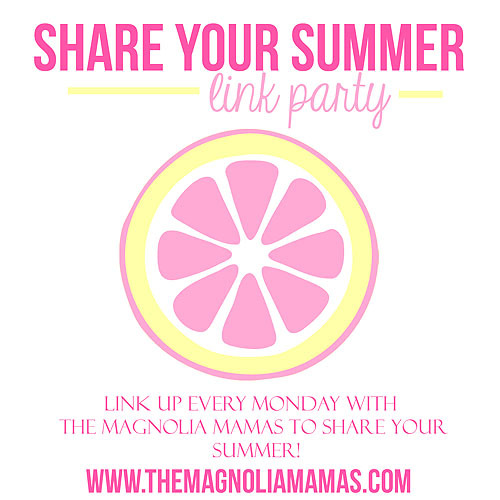 It's time for another Share Your Summer link up, this week we are dishing on all things watermelon. Nothing screams "summer" more than watermelon. Our kids love watermelon year round, but it isn't always the tastiest. Then summer hits, and they eat it morning, noon, and night. While the kids are happy eating slices of watermelon 24-7, sometimes I crave something a little different. Melons texture aren't always my favorite, but I love the way watermelon tastes. So this weekend I decided to get a little creative and try something new. 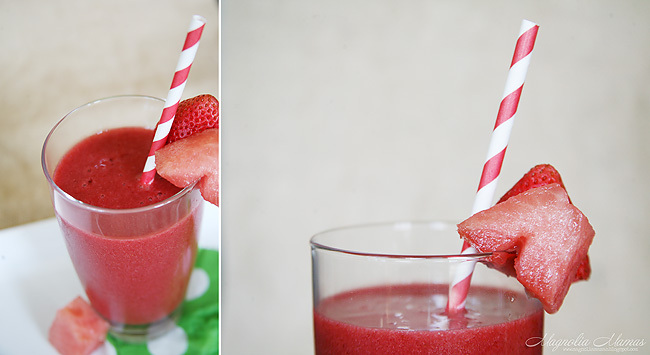 I found some yummy recipes on Pinterest, and ultimately landed on a yummy Watermelon Strawberry smoothie. Listen, I might not be able to cook, but I can use my blender like a boss. And I am not sure if you have heard, but we have a ton of strawberries on hand. There are a couple of different recipes, so I combined what I thought would be the tastiest. 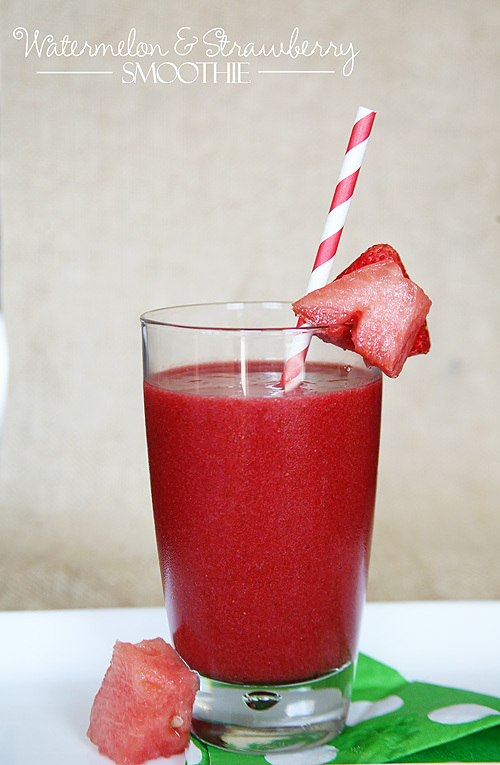 - Strawberries and watermelon in blender and blend. - Add in remaining ingredients and blend. - Blend until smooth in texture. 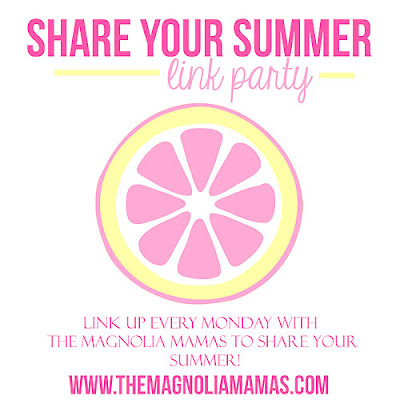 Now time to share your watermelon fun with us! 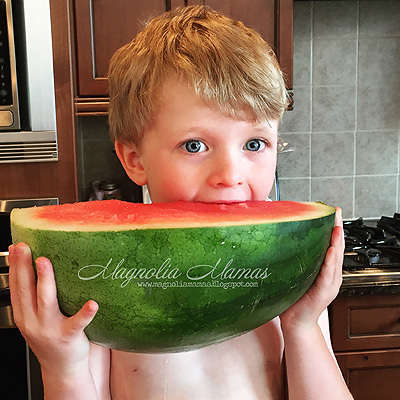 From yummy recipes to adorable watermelon outfits let us know what you love about this favorite summer staple. We absolutely LOVE watermelon in our house. And ever since purchasing the latest slicing contraption - i buy it even more frequently (I used to HATE cutting it). How cool is that? Does it work on big watermelons, too? Or just the smaller ones? This looks so delicious! I feel the same way about watermelon's texture, so this sounds great!